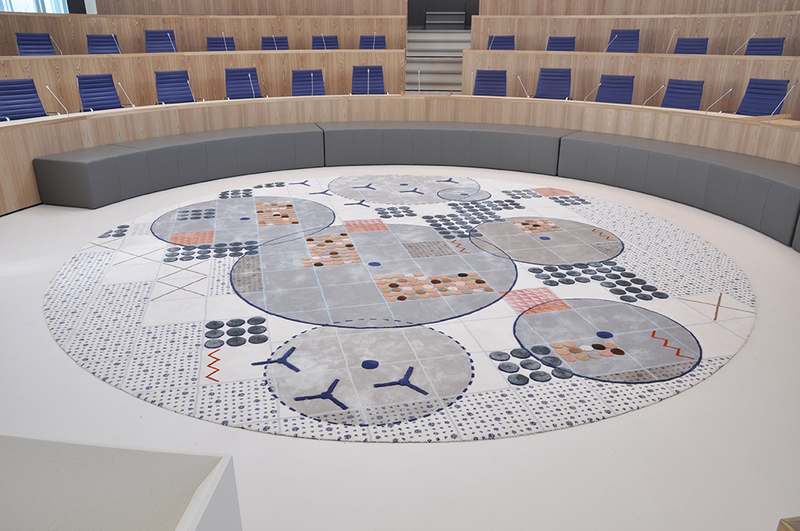 Scheublin & Lindeman was commissioned to design a central rug for the council chamber of the city of Almere. 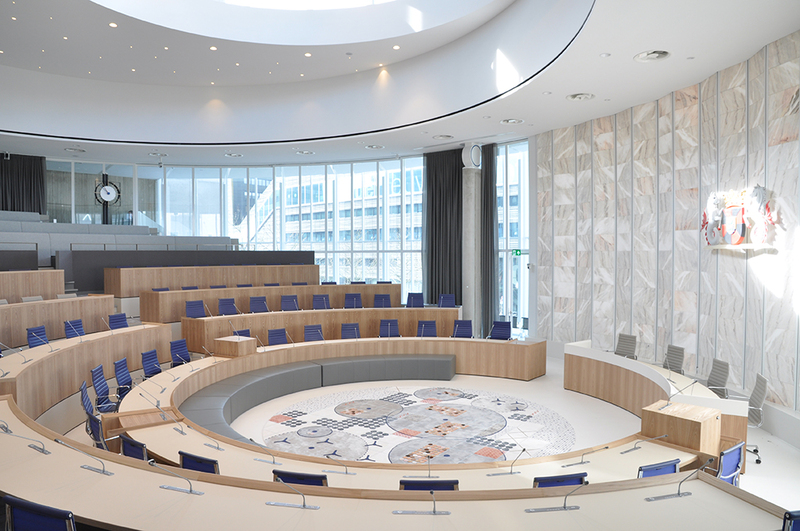 The city hall of Almere, originally designed by the Dutch architect Cees Dam, first opened in 1986 when the young town counted only 40.000 residents. 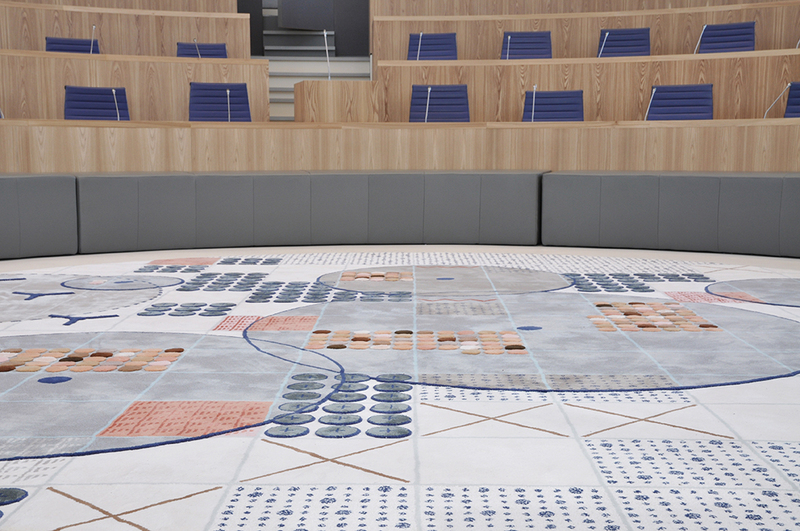 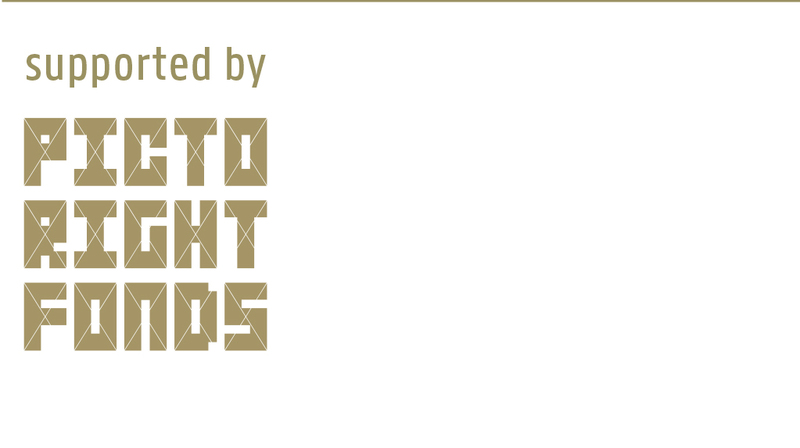 The city has since grown to 200.000 residents and the city council has just grown to 45 representatives. 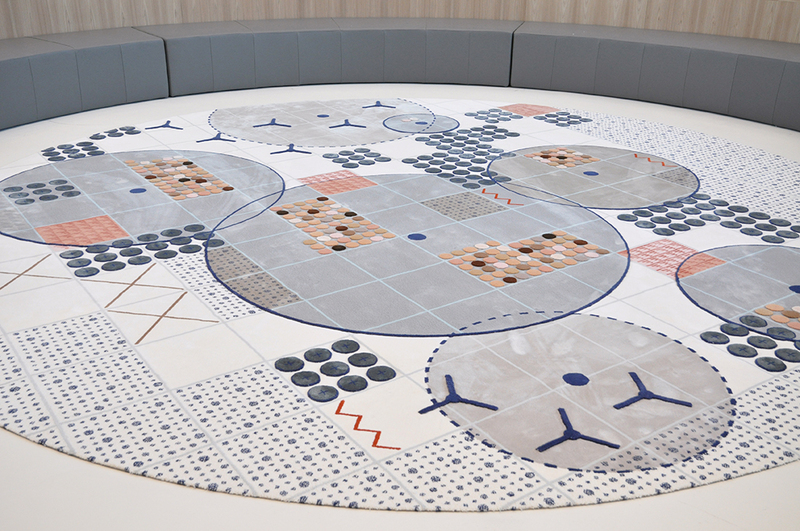 The interior of the building has been renovated over the last years by design of Fokkema & Partners Architecten to meet the new demands. 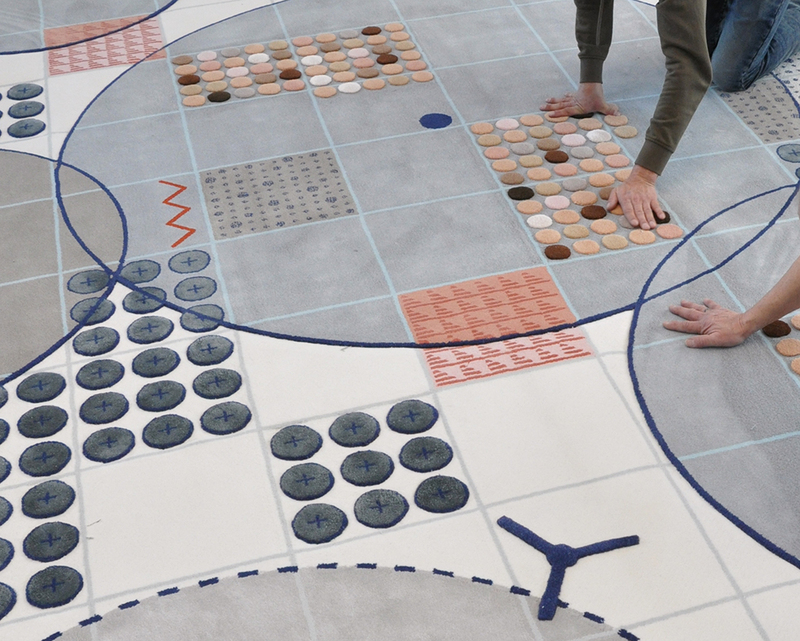 Scheublin & Lindeman were asked to design a central rug for the council chamber. 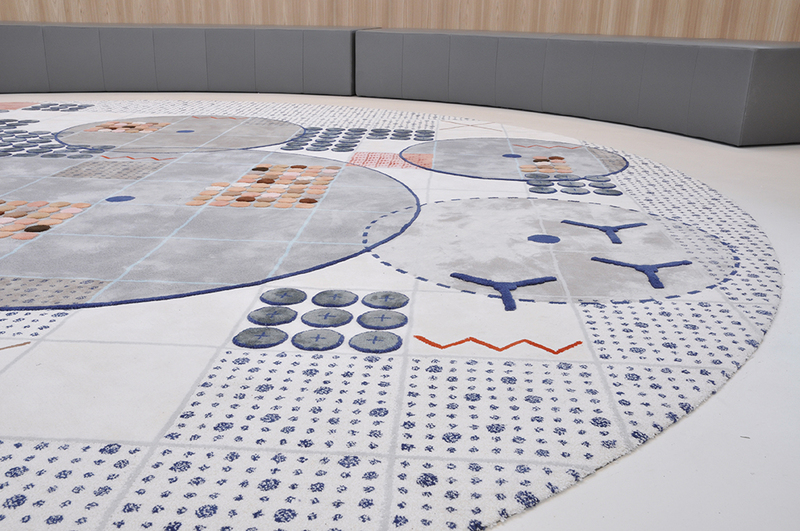 The rug measures 5 meter in diameter and is placed as a centrepiece in the council chamber. 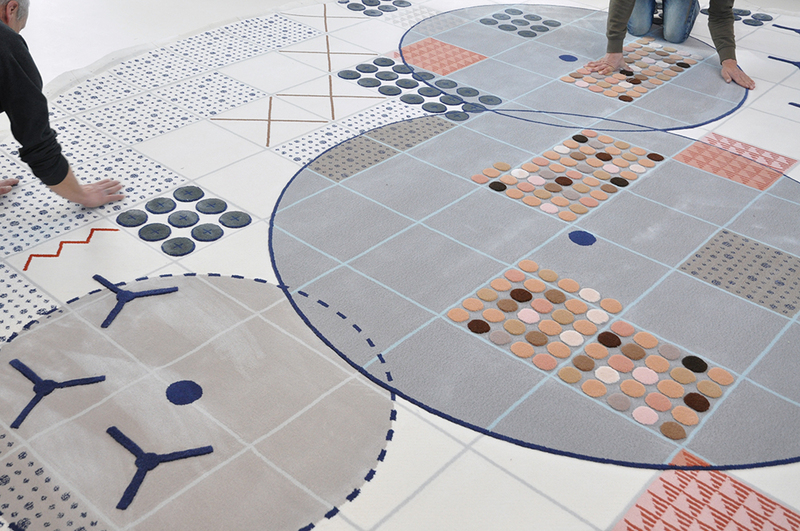 The design of the rug resembles the city plan of Almere. 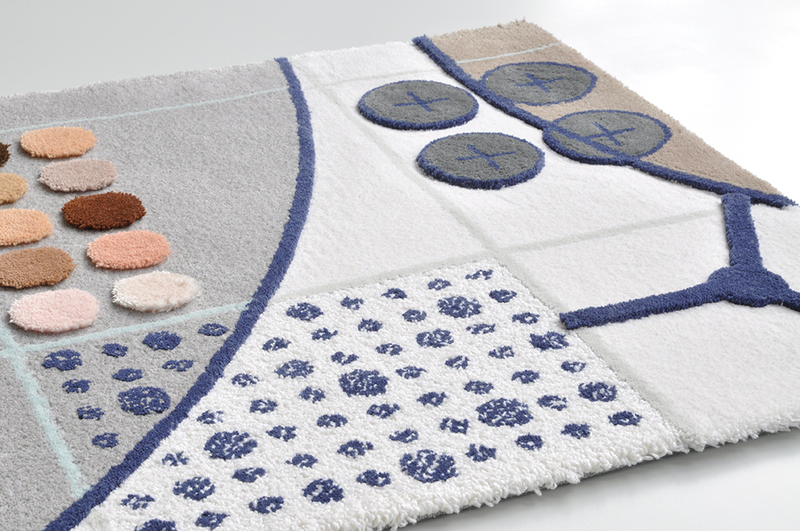 Different color codes and icons indicate city areas, people, water, land, nature, industry, harbours and windmills, making up the abstract dessin. 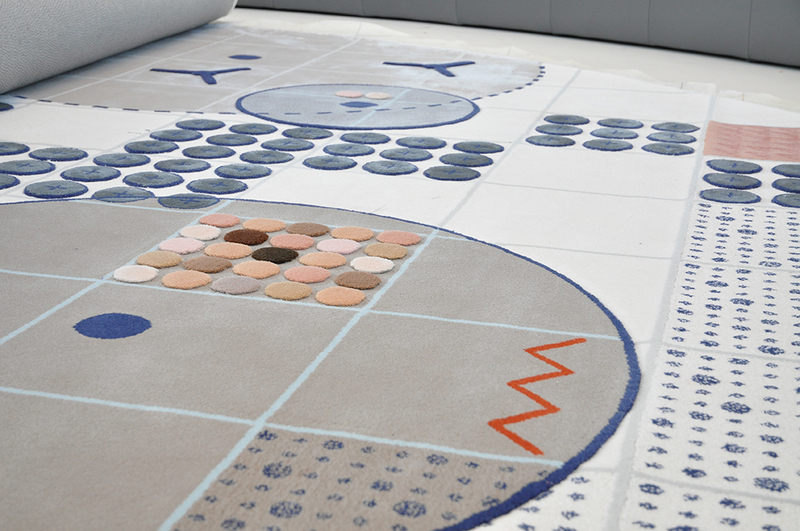 The rug was tufted in different pile heights, creating a maquette like effect. 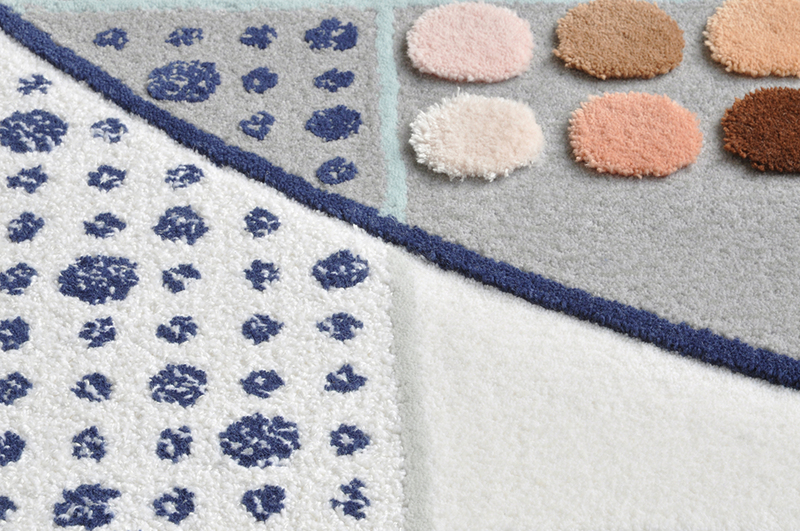 The color gradations, mix of different types of yarn and a combination of cut and looped pile give the rug a rich character.